Fidelity Builders Supply, Inc has been supplying Windows & Doors to the finest homes and light commercial office buildings in the area for over 35 years. We represent a full line of well known manufacturers such as Jeld Wen Windows & Doors, Jeld Wen IWP Doors, Silverline, Masonite and Therma Tru. If you’re looking for new construction windows, look no further than Fidelity Builders Supply, Inc. and Jeld Wen Windows. With Solid Auralast wood that offers a unmatched 20 year warranty, more hardware and paint options than any other window manufacturer, you can rest easy knowing you made the right decision. 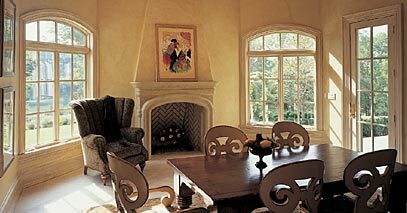 Need to replace those old drafty or inefficient windows in your existing house? 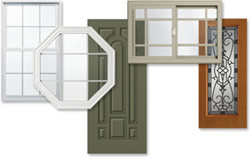 Look to our full line of Jeld Wen or Silverline Replacement windows. Choose from Wood or Vinyl, delivered or installed for you. We offer it all here at Fidelity Builders Supply, Inc. According to research done by Therma Tru Doors, an entryway can add up to $24,000 to a home’s perceived value. Stop by our showroom to see a full line of fiberglass, steel and wood entry doors.